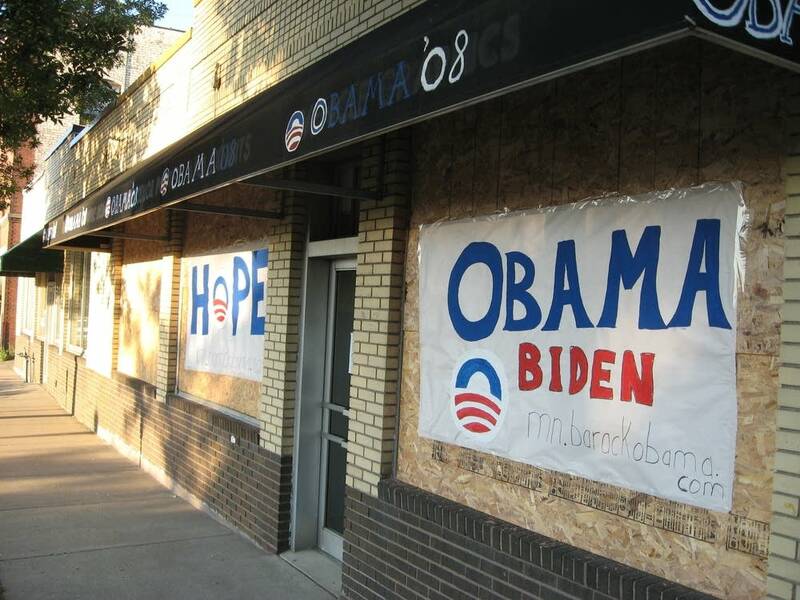 ST. PAUL, Minn. (AP) - Police say Barack Obama's Minnesota campaign headquarters in St. Paul had three plate glass windows and a glass door smashed early Sunday morning. Police arrived at the Democratic senator's headquarters about 1:15 a.m. A report says vandals threw bricks through the windows and door and splattered paint on the outside and inside of the building. One person was at the headquarters at the time of the incident but was unharmed. No arrests have been made and the police are asking for the public's help to find those responsible for the vandalism. Obama spokesman Nick Kimball says the door has been replaced, but the windows have been boarded up until the glass can be replaced in the next few days. "It doesn't seem like a big deal," Kimball said.